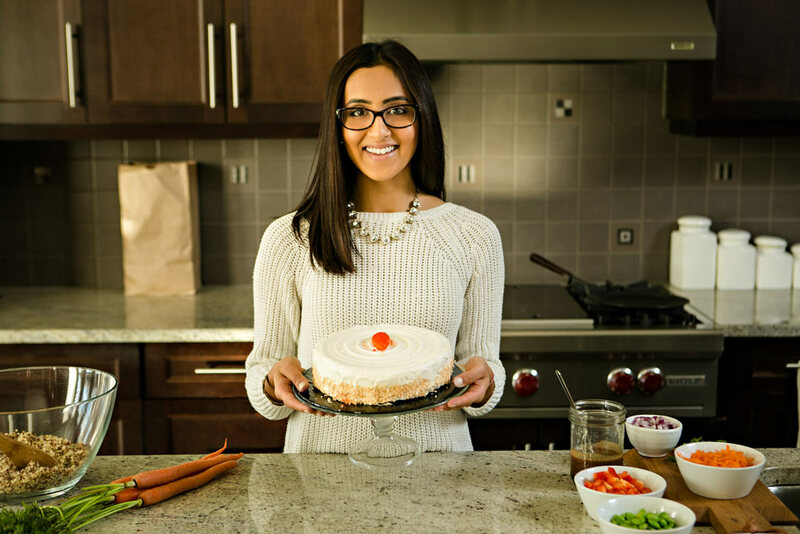 Nita Sharda is a Registered Dietitian, an absolute foodie and owner of Carrots and Cake Balanced Nutrition Consulting. Her interest in food was sparked at a young age. Nita would often spend time in the kitchen admiring her mother’s touch with Indian cuisine. In particular, she has fond memories of her mom preparing paneer, a common soft cheese used in Indian dishes. Nita believes that some people have lost sight of what it means to truly eat mindfully and informatively; she supports a balanced approach to nutrition (with room to play) and encourages clients to take joy in preparing simple and tasty meals. I’m not a self-proclaimed vegetarian; however I find myself gravitating more towards meatless protein options. Consuming cheese daily helps me to ensure I’m meeting my protein recommendation and fits in great with my lifestyle. Plus, there are so many varieties; it’s hard to get bored! My favorite way to have cheese is melted between hearty whole grain bread–grilled cheese, it’s always nostalgic! Give me some cheese, PLEASE! My family and I love cheese. Load it up on our pizza, pile it high on our nachos, pack it in our quesidillas, melt it all over our grilled cheese. Whenever my daughter see’s the cheese come out of the fridge its only seconds before, the, “cheese, cheese, cheese” starts coming from her mouth and she begins to tug on my leg. Give her a chunk and the, “Mhmmm’s soon follow”. Cheese is one of those things that isn’t the main ingredient in a meal, but it sure makes it a heck of a lot better. As an avid Nita blog follower I look forward to seeing what type of creations and ideas she has for the delicious tastes and flavors of Bothwell cheese!